Recent incidents of Trump officials being confronted in public for their role in the administration’s separation and imprisonment of immigrant families have driven renewed concern about the lack of civility in U.S. politics. 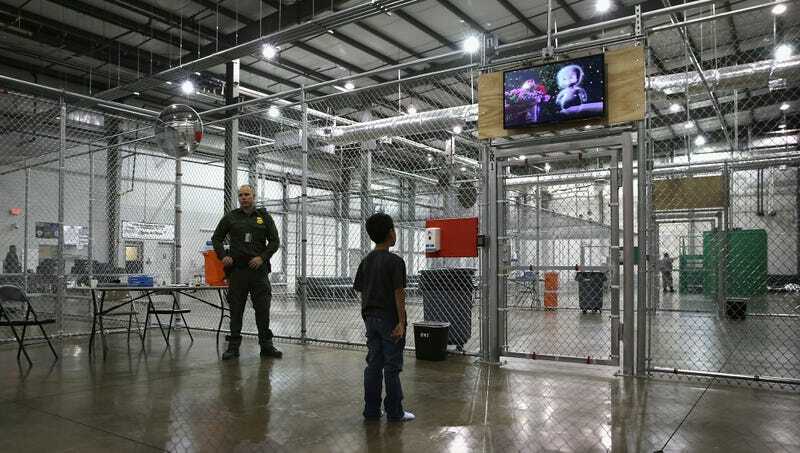 The Onion presents tips for staying civil in a debate about child prisons. Avoid unkind generalizations like equating the jailing of ethnic minorities with some malevolent form of fascism. Consider that we all have different perspectives stemming from things like age, ethnicity, or level of racism. Recall that violently rejecting a tyrannical government goes against everything our forefathers believed in. Find common ground by recognizing that some kids are huge assholes. Make sure any protests are peaceful, silent, and completely out of sight of anyone who could actually affect government policy. Give your political opponents the benefit of the doubt by letting this play out for 20 years and seeing if it gets any better on its own. Realize that every pressing social issue is solved through civil discourse if you ignore virtually all of human history. Remind yourself that you’re just two people having a cocktail at the same D.C. party and that politics is a game to you. Avoid painting with a broad brush. Not everyone in favor of zero-tolerance immigration wants to see children in cages—it’s more likely that they just don’t care.